There is an entire manufacturing industry based on the production of gag gifts. There are even speciality stores at the mall, mainly every juveniles favorite, Spencer Gifts and tons of Internet outlets to buy such schwag. But nothing at any of these stores compares, dare I say comes close, to today’s gift: The Fanny Bank! 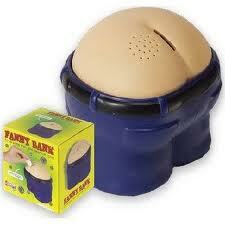 The hilarious Fanny Bank will be a hit in your home or office or just about anywhere. A plumber named Manny is exposing his fanny, laughs at the tickle of a shiny new nickel. So just drop some loot to hear the fanny bank toot. The Fanny Bank is fun for the whole family. 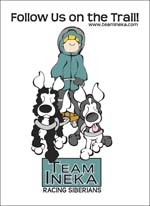 You had better hurry and quite procrastinating because the BIG DAY is only three, thats right, rabid readers, THREE DAYS to get that gift under the tree or be looked upon as a fool, buffoon, idiot, inconsiderate, nincampoop. Yep, thats right, I said it. Now order your Fanny Bank today!